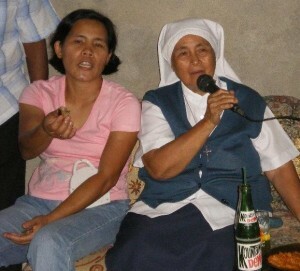 Delia Copias Montero was a working student of Sr. Concordia. After her graduation in College she was employed by Sr. Concordia as a Community Worker. Sister Concordia trained her that sacrifice is the path to success. Delia was named outstanding woman of the year in San Remigio Antique where she organized the farmers to form cooperatives to enable them to process their products. Delia married Larry Montero an Agriculturist. Both of them now help manage a farm that supports the food of the Orphanage.